Dmitrii Kustanovich is the inventor of auther's technology of painting, the style of which based on personal, musical perception of world around. Kustanovich is the founder of 'Spatial realism' style of art. The atmospheric exhibition of Kustanovich 2017 paintings creates special lifted spirit which takes closer to the discovered beauty. 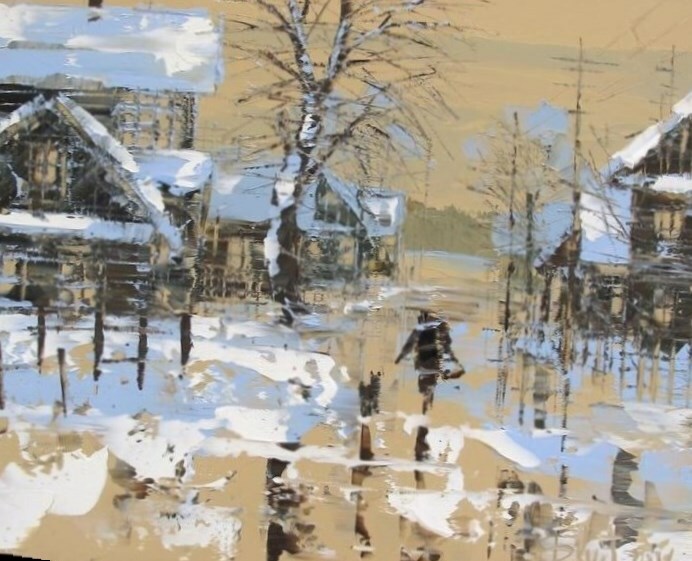 The exhibition runs from the 9th of December to the 17th of February in the Kustanovich's Gallery on Konyushennaya street.